DIRECTV’s new Genie Remote is actually two different Genie Remotes. 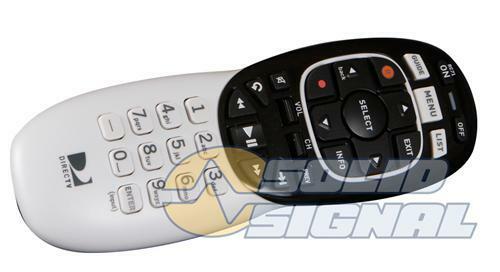 When you order our Genie Remote, we tell you that you could receive model RC71 or model RC72. Should you care which one you get? Probably not. DIRECTV updated the Genie Remote to model RC72 in order to fix certain internal issues and add compatibility with some very specific lines of TVs. If you have a 2014 DIRECTV Ready TV and you want to use it without a Genie Mini Client, you’ll probably want an RC72. The same is true if you have a Dynex or Insignia television. There are specific codes in an RC72 to deal with those two scenarios. In every other case, the RC71 is just fine. It will work with the HR44 Genie and every future receiver, and it will work with older receivers and DVRs in IR mode just as it always has. DIRECTV is transitioning to the RC72 and in time there won’t be any RC71s left, but in the meantime, they are supplying us with both models depending on what their warehouse picks. By the way, there’s no situation where an RC71 is better, so it’s not like there’s a need to hoard them or anything. Both RC71 and RC72 perform identically in almost every situation, and it’s pretty hard to tell them apart if you’re not looking at the model number.